You often ask “how do I know what type of ring to buy?” and this is such a personal question based on your preferences and taste that it is impossible for us to answer on your behalf. 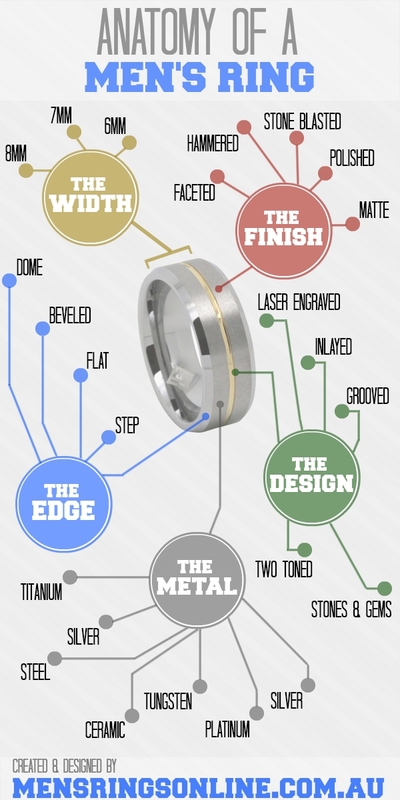 However, we can certainly provide you with a way to clearly see the elements of a ring. That is why our little graphics angel created this infographic for you. Now you can consider each piece of the ring and truly determine what ring is best for you. Ask yourself if you prefer a wide or thin band? Do you prefer a thick, heavy metal or something that sits a little lighter on the finger? We hope it helps.